Samsung Electronics has recently launched its 4G enabled Galaxy J5 and Galaxy J7 mid-range smartphones that will enable users get the most of their mobile experience. Galaxy J7 and Galaxy J5 come after the successful uptake of Galaxy J1 whose features and affordability have endeared to many Kenyan youth. "Samsung is committed to lead the 4G revolution by providing new user experiences and latest technology. With consumers embracing the 4G revolution, we are looking at expanding our product offerings. 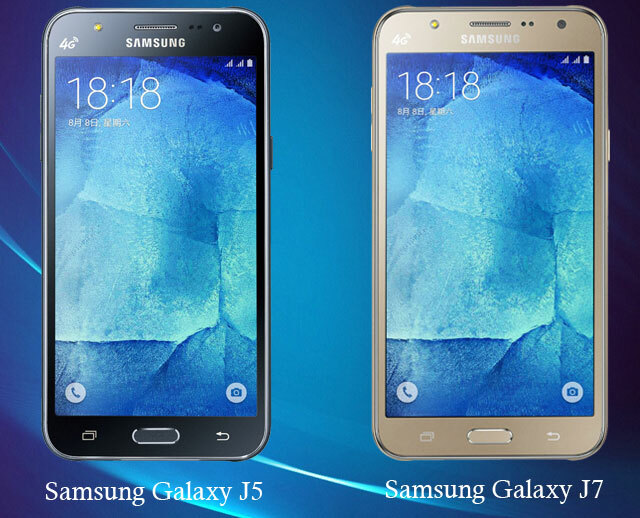 The launch of Galaxy J5 and Galaxy J7 aims to give consumers options in the mid-range price segment. With optimal features and great value for our consumers, the new devices will offer an uncompromised smartphone experience, at very competitive prices." said Samsung East Africa IT and Mobile Division Business Leader Simon Kariithi. Both phones possess superior functions and features aimed at enhancing users work and social lifestyles. From the brilliant screen with advanced resolution to the Ultra Saving Power Mode which minimizes battery consumption, as well as the 5" inch (J5) and 5.5 (J7) large screen display that lets you comfortably view everything from videos to website pages, the devices are worth their value. The devices are equipped with increased Octa-Core CPU capacity that delivers fast and optimum performance allowing for more spontaneous multi-tasking and faster loading of webpages and games. Users can efficiently use the devices for web searches, app enjoyment, playing games and still have battery life left over for days on standby. The devices come preloaded with Microsoft Apps - One Note, One drive and Smart Manager. One drive offers customers 100GB of cloud storage while the Smart Manager app which provides improved power management by monitoring apps that use excessive battery power while also allowing for optimization of memory. h/lBoth devices are available in all Samsung Brand stores and authorized Samsung dealer Shops country wide at Kshs 27,000 for Galaxy J7 and Kshs 21,000 for Galaxy J5.